Anna’s father would teach the children lessons in math and religion around the fire before bedtime. “Then he would say it was time to go to sleep to be ready for school in the morning,” Anna said. 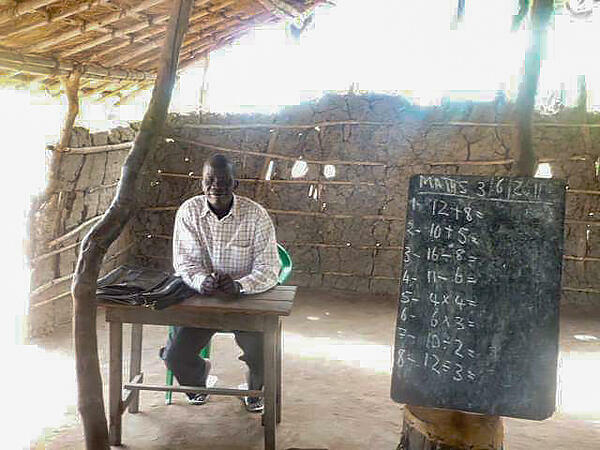 The school, a hut built under dead trees, was 6 miles away. Anna would walk to and from school with a cousin each day. Anna felt happy and blessed to have this opportunity. 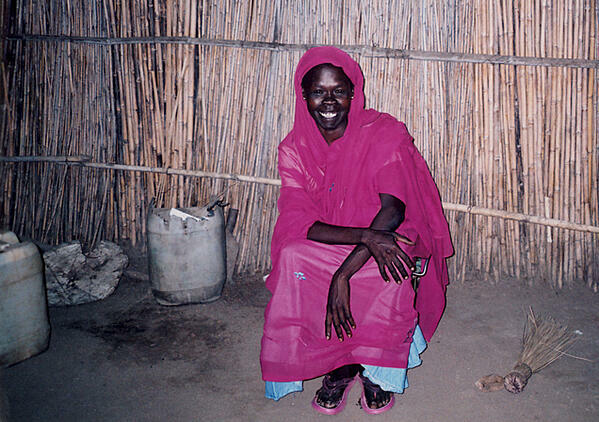 But the second Sudanese civil war changed everything for Anna, her family and their village. Even if the school could remain open, the walk was no longer safe. Anna’s parents were desperate to find a way for Anna to continue her education. They loved her so much, they sent her away. Anna was just 13 years old the day she left her homeland, and she has seen her parents only three times since. 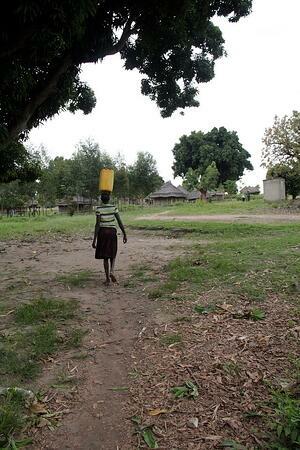 In 1991, Anna, her older brother and several cousins fled to the refugee camp in neighboring Uganda. For the next 10 years, Anna shared a hut in the camp. She became one of the millions of South Sudanese displaced by war, one of the millions caught in a humanitarian crisis that continues today. Anna’s teen years were spent in a place of shortages and uncertainty, a place of relative but not real safety. Disease was a constant danger. 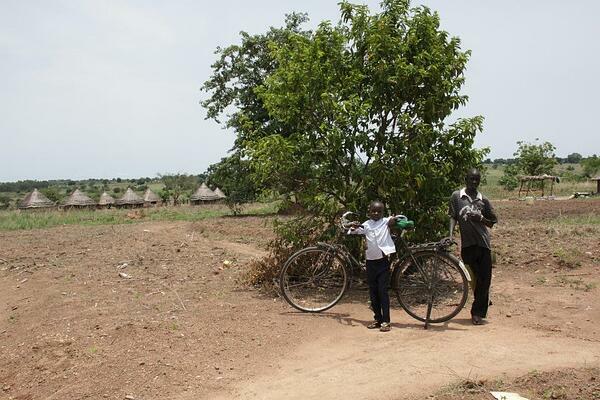 When a measles outbreak spread through the camp, Anna was among those lucky enough to survive. Though still a child herself, Anna was a choral leader in the camp church that met under the trees. She and other church members attended every funeral to support the grieving family members. Anna focused on getting as much education as possible. “My goal then and now is to make an impact, to show others there are ways out,” Anna said. She studied hard in the camp school, which had no books, just a teacher and a blackboard. Anna and the other students had to find ways to get their own school supplies. Despite the hardships, Anna did well and earned her high school degree in the camp. Her hope was to return home, but there was still no peace or safety in Kupera, no opportunity to make a living or get an education. Like so many other refugees, Anna’s husband, a young man she’d met in the camp applied for their resettlement. They prayed and waited. In 2001, after 10 long years in the camp, Anna and her small group were granted entry to the U.S.
Anna is used to obstacles, and she is used to overcoming them. By the end of the month, Anna’s group was on a flight to the U.S. Eventually they moved to Omaha to be near other family members who had already settled there. 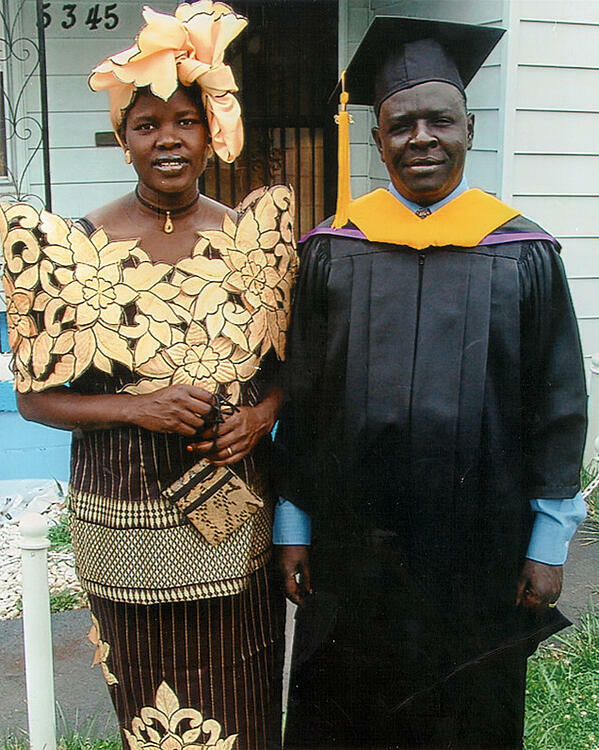 Her husband graduated from Bellevue University with a Master's in Health and Human Services. He returned to Africa, while Anna stayed, worked and studied. In 2008, she became a licensed practical nurse. She holds a supervisory position at a local assisted living community, and she has never stopped studying. One day, while planning the next step toward her goal, Anna stopped by Nebraska Methodist College. Now a student in NMC’s LPN to BSN program, Anna expects to graduate later this year. “I want to be there for my patients,” said Anna, who lives the NMC core values of caring, excellence, holism, learning, and respect. Ann is instilling the same values, resilience, and determination to make a difference in her five children. 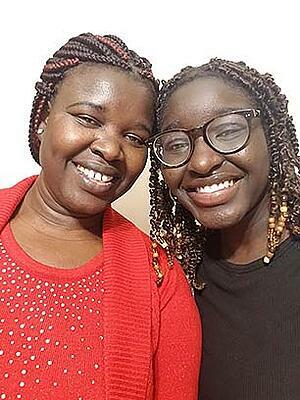 Her eldest, a son, is an international studies student at UNO. Her three middle daughters plan to become doctors, while the youngest, age 5, has not yet declared a career plan. Meeting the demands of nursing school, a job, and family is never easy, but it is especially difficult for a first-generation or low-income college student. Anna is both, as well as an immigrant. She says the TRiO Student Support Services program at Nebraska Methodist College plays an essential role in her success. NMC’s TRiO programs, made available through grant funding from the United States Department of Education, offer additional academic, career, financial and individual support and guidance to historically underrepresented college students. TRiO Support Services staff combine resources within and beyond NMC to empower students like Anna to reach their full potential. Lisa Johnson, NMC’s director of TRIO Student Support Services, said from their first meeting she has marveled at Anna’s courage, quiet strength, and positivity in the face of “almost incomprehensible” challenges. Anna is not the only member of her family to benefit from NMC’s TRiO programs. Anna’s daughter Winnie, 15, was among those selected for NMC’s TRiO Upward Bound Math-Science program for Benson High School students. In 2017, NMC earned its third multimillion-dollar Upward Bound grant to help prepare high schoolers in the program to be academically, socially, and emotionally ready for college. Since 2007, NMC's Upward Bound program has served students through tutoring, mentoring, financial literacy training, ACT prep, and college application and enrollment assistance. The Benson High and Burke High students in the program have the opportunity to participate in after-school programs close to their schools and in a 6-week summer academy at NMC. Winnie is filled with pride to see her mother get closer to graduation and fulfillment of a lifelong dream. 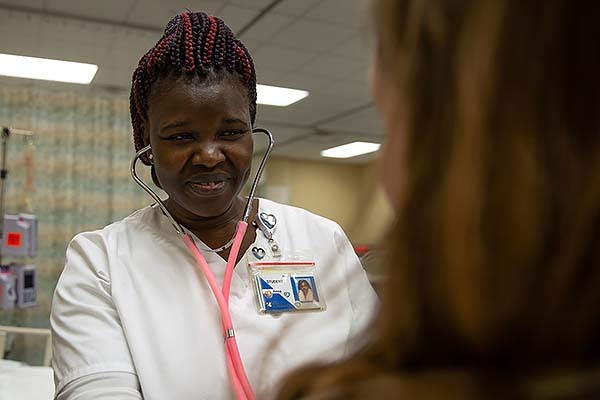 Winnie and her siblings are a big part of Anna’s inspiration to work long days, study late into the night, and apply herself to her nursing coursework and clinicals. 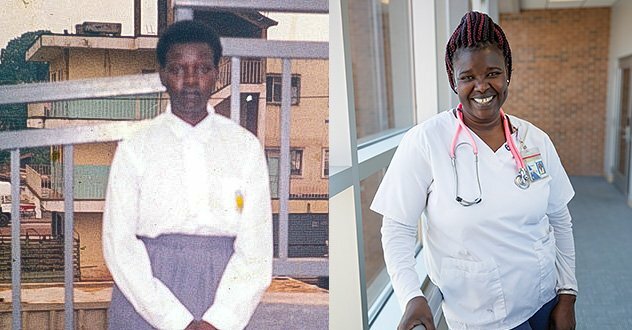 Somehow, Anna also makes time to lend a hand and helpful advice to other South Sudanese women who are arriving in the U.S. as refugees. Anna has a worldwide sense of community. And she has hope. Anna has a message for other nursing students who come from backgrounds with similar challenges. "Never give up," Anna said. "Be the first to save lives in your community and the first to open the gates to the new beginning. As you move forward in nursing, remember the nursing pioneers. Most of them faced a lot of challenges but successfully implemented changes in nursing. Challenges are not new to you. Follow the nursing pioneer’s footsteps and do the same wherever God wants you to serve his people." 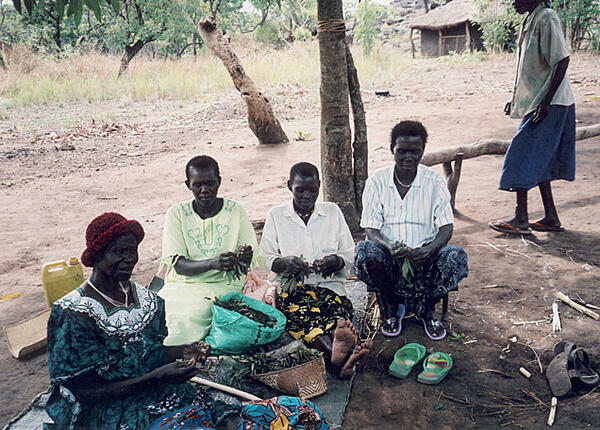 Editor’s Note: South Sudan, the world’s youngest nation, was born in 2011, following decades of civil war. It is a region of the world that has known inter-ethnic warfare far longer than it has known peace. According to a U.S. State Department- funded study, from 2013 to 2018, the conflict resulted in nearly 400,000 deaths while displacing more than 2 million people within South Sudan and another 2.5 million as refugees to neighboring countries.